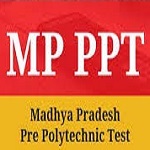 Madhya Pradesh Professional Examination Board (MPPEB) referred as MP Vyapam will organize Madhya Pradesh Pre Polytechnic Test (MP PPT 2019) probably in the month of June 2019. MP PPT is a state level entrance examination which conducts for admission to various Polytechnic diploma programmes. Candidates, who want to appear in MP Polytechnic exam for taking admission in polytechnic courses offered by several reputed polytechnic institutions in Madhya Pradesh state, should submit their MP PPT 2019 application form as per schedule. Through this article, candidates can get complete details on MP PPT 2019. MP PPT 2019 Application process will be started in the second week of April 2019. Click Here to apply for MP PPT. Applicant should have Indian citizenship. The candidate must have the domicile certificate of Madhya Pradesh. He/she must have scored minimum 35% of total marks in the qualifying exam. Candidate passed with grace marks in the qualifying exam i.e. 10th, grace marks will not be considered in the calculation of minimum marks obtained in the qualifying exam. If any candidate found ineligible at any stage, the candidature will be cancelled immediately. Candidates from general category should pay Rs. 400/-. For the applicants belonging to reserved category, the application fee is Rs. 200/-. Candidates can pay the application fee through credit card/ internet banking/ debit card/ or kiosk portal. 150 questions will be asked in the exam. The complete duration of exam about 2 hours. The question paper will be asked in both Hindi & English language. The question paper will be consisting of objective type question. The online process for filling up of application form for MP PPT 2019 will be launched from the second week of April 2019. It is notable that form will be submitted only through online mode. Any letter or application through post will not be entertained. While filling up the online form, the candidate must keep with them the necessary details and ensure that they should not make mistake. The candidates can download the admit card from the official website of the Board from last week of June 2019. The Board will not send admit card via post hence, students have to check the website regularly. By entering necessary details in the Admit Card tab, the candidate can download admit card. MP PPT 2019 result will be published on the official website of the Board. It is expected that the result will be out in the third week of July 2019. For obtaining the result, the candidate needs to put their Roll Number and date of birth in the required tab. On the basis of MP PPT 2019, the candidates who secured merit in the entrance exam will be called for counselling process in the month of July 2019. The candidate will get Institute and Subject according to their merit, reservation, and choice through the counselling process. 95% seats will be reserved for candidates belonging to Madhya Pradesh State and remaining 5% seats for others. Candidate needs to check the official website from time to time for information. For Physics- Force, Gravitation, Wave, Human Eye, Speed, Magnetic Effects of Electric Current, Work, Energy, Electricity, Heat, Domestic Electric Circuit, The Earth, The Universe, Galaxy, Microscope, Solar System. For Chemistry- Physical and Chemical Change, Human Dependence on Natural Resources, Electrolysis, Classification of Matter, Air, Difference Types of Substances and their Nature, Mineral Cycle, Types of Fuel, Necessity of Balanced Diet, Electro-Chemical Cell, Chemical Bond, Ecological Balance. For Mathematics- Geometry, Algebra, Circle, Mensuration, Trigonometry.